As a ltl driver it would work. There is no trailer swing behind the axles as they are set at the rear of the trailer just like the 28’ pups now. I drive mostly Rocky Mountain doubles. A 48’ with a pup. No problems driving down the road and to those of us used to them very little trouble maneuvering around. The weight on these are 105,000 or 106,000. So the trailers they are requesting are a step between pup doubles and rocky set. The everyday otr driver wouldn’t be driving them anyways just like they are not endorsed for them now. I agree with Bobcat. I chose both by going with line haul also. Which is more important will definitely be different for each person. I like still having a consistent home life everyday doing all the same activities I’ve always done. For me home time is my top priority but luckily I didn’t have to choose only one. My job is a perfect fit for me. High Road Training question wrong? DAC report? Need help, please! This forum is an excellent place to learn from others how to move forward on a career with a CDL. it’s our responsibility to look into jobs within our qualifications and fully understand the job descriptions. New drivers need to commit for at least a year to show their ability to do the job. Your not going to adjust to something like a night shift in 1 week and you have to work at in to make the change over. Your next application needs to be 100% honest including your work history. If you land another job commit to stepping up to the challenges until you have a work history worthy of shopping around for any job you want. Hopefully you got trough I-80 safely. If you waited it out I-80 is improving quickly. It’s good going up the hill then is snow covered with some ice. It will clear off quickly when the storm brakes. If I-80 is bad over Sherman just east of Laramie then check on hwy 287 south (no hazmat allowed). I’m assuming you were hoping to keep running I 80 so you would have to backtrack back north on I25 but it would be in the lower elevations and less likely to have the severe snow that Sherman will. It’s mostly a two lane road. It is too bad you didn’t have one more hour available you would have got past the area that will be bad. I’ll be over there trudging though it later tonight too. Wyoming Blows. What to do? The part that usually has the worst wind is elk mountain. Which is the part the is closed to light high profile right now. Alternate route is hwy 30 from Walcott to Laramie. It's about 15 miles longer, part of it is 2 lane and some 4 lane with a few small towns to slow down for. Winds will be less but it will still be windy. After chaining up on vail the other morning it made me think of a few things a lot of driver’s don’t know. As you come up to a chain up station slow down and be ready to safely get over right away if it is a small chain up station. Also be aware and look ahead, many chain up stations are long and well light. Everyone bunches up at the beginning including parking partially still in the highway. Not a safe situation to put yourself in when so many spots are available just past where everyone is bunched up. Also to maximize what your chains can do learn how to turn off your traction control and lock in your differential. You want to try and go up the pass and never break traction but during really poor conditions you will want the ability to spin some. 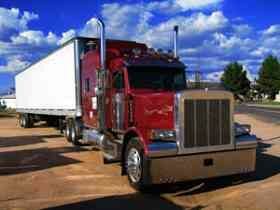 Why does anyone drive OTR if LTL pays so much more? Keep in mind when looking into LTL that companies do run completely differant. Some run a 5 days out with weekends off. Most of them run out and back each shift. some have runs that go out to a terminal, hotel for 10 hours and then back. I live some distance from the terminal so i run the last option. 3 runs one week, 2 runs the next week. This leaves me with plenty of home time while making good money. Anytime you’re driving doubles or triples you just drive the truck. The trailers will follow. The more adjustments you try to do with the truck to straighten out the trailers will cause the trailers to wiggle more. As the above posters stated heavier trailer in the front lighter trailer in the rear. Also make sure your congear fifth wheel is greased. A dry congear will make it wiggle more.